Originlly called Chao Thanan Mahawong, Phra Chao Mahotara Prathet was the the second son of Phraya Thammalangka, the second monarch of Chiang Mai and Mae Chao Chanfong. He served as Crown Prince during the reign of Chao Luang 'Buddhawong' and fought fiercely with the Burmese. 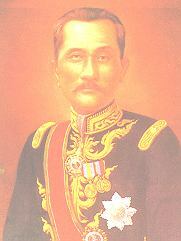 After he was crowned, he began to expand Chiang Mai's territory and took over the administration of Lampang and Lamphun. He was promoted in the reign of King Mongkut (Rama IV), and ruled Chiang Mai for some seven years. 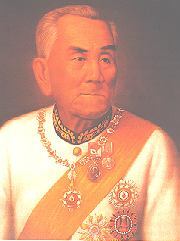 Commonly referred to as Chao Nao Suriwong, Phra Chao Kawilorotsuriyawong was Chao Kawila's fifth son and ruled Chiang Mai when the city had merged with the Thai Kingdom. He was called 'Chao Chiwit Ao' and known as a strict authoritarian. If he said 'Ao' while considering a law case, the accused must be 'executed'. This might be considered brutal but it brought peace and security to the city as the ruler was decisive. He also had a strong faith in Buddhism. Phra Chao Kawilorotsuriyawong had served as Chao Luang of Chiang Mai at the age of 70 and attached great importance to religious affairs and renovation of Chiang Mai for 16 years before he died at the age of 71. Following the death of Phra Chao Kawilorotsuriyawong, King Chulalongkorn (Rama V) appointed Crown Prince Intanon as Governor of Chiang Mai, named Phra Chao Inthawitchayanon. On November 19, 1886, Phra Chao Inthawitchayanon together with his daughter 'Chao Dara Rassami' had an audiance with King Chulalongkorn. Chao Dara Rassami, then 13 years old, was accepted at the royal court and became a consort. In 1908, she was elevated royal status to chat of 'Queen'. Phra Chao Inthawitchayanon introduced modern education and set up a school for girls called 'Dara Witthayalai' and a school for boys called 'Wang Singkham' in 1888. The school for boys was later changed to Prince Royal School, as generally known today. Phra Chao Inthawitchayanon passed away in 1897 after ruling Chiang Mai for 27 years. Originally called Chao Noi Suriyawongmekha, Chao Inthawarorot Suriyawong was the son of Phra Chao Inthawitchayanon and Mae Chao Rinkham. During this period, Chiang Mai developed closer ties with Bangkok through Queen Dara Rassami and adopted musical and performing arts from Bangkok. 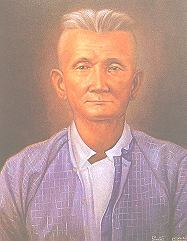 Chao Inthawarorot Suriyawong had close contact with his people and adopted a paternalistic and benevolent style of kingship. Such a system brought prosperity and progress in all fields to Chiang Mai. Electricity was first first introduced into his residence for the first time in Chiang Mai. Duking the reign of Chao Inthawarorot Suriyawong, Chiang Mai was no longer a conony of Bangkok and Chao Inthawarorot Suriyawong served as a government official and received his salary from Bangkok, although he hardly had direct power in administering Chiang Mai. Chao Inthawarorot Suriyawong passed away in 1909, having served as Chiang Mai ruler for four years and governor for eight years. 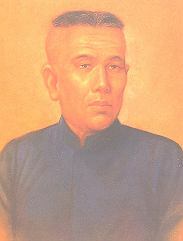 The last Chao Luang of Chiang Mai, Major-Gerneral Chao Kaeo Nawarat was the sixth or of Phra Chao Inthawitchayanon and Mae Chao Khieo. He served in government service when he was 15 years old. His name has been adopted as the title for several public structures such as Nawarat Bridge, Nawarat Club, Kaeo Nawarat Road, Si Nawarat Temple and Si Nawarat School. In 1911, Chao Kaeo Nawarat was elevated to royal status as Chiang Mai Ruler and King Vajiravudh (Rama VI) granted the surname of 'Na Chiang Mai' to Major-Gerneral Chao Kaeo Nawarat and his family from the line of 'Chao Chet Ton'. He passed away in 1939 at the age 77. 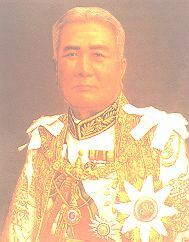 After his death, the Tahi Government dissolved the post of ruler, putting and end to 'Chao Luang Chiang Mai. The period from Chao Kawila to Major-Gerneral Chao Kaeo Nawarat lasted 157 years. Although there is no longer a 'Chao Luang', His Masjesty the King's benevolence towards the children and grand children of 'Chao Luang' is well known and recognised. Chao Luang Chiang Mai, Natthakarn Limsataporn, Kinnare Magazine, July 1996, P. 124-127.